Like you - we know that dogs are happiest and healthiest when they are free to live a life unleashed - as real dogs should….outdoors, exploring the world, and having fun! 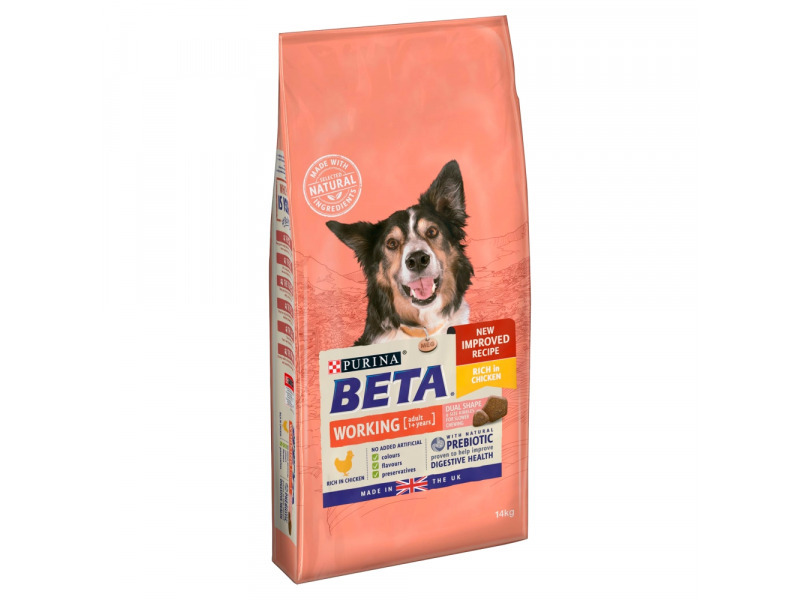 This is why PURINA, with our 90 years of expertise in dogs' nutrition and behaviour, have created BETA: A tailored range of food, also made in our Suffolk factory using carefully selected natural ingredients such as parsley, spinach, carrot, chicory and wholegrains. Inspired by nature, our products provide healthy inside out nutrition that helps your dog to live an active and curious life. There are currently no questions for PURINA® BETA® Adult Working Dog Dry Dog Food with Chicken - be the first to ask one!